'Inter-City 125, the Journey Shrinker', BR poster, 1979. 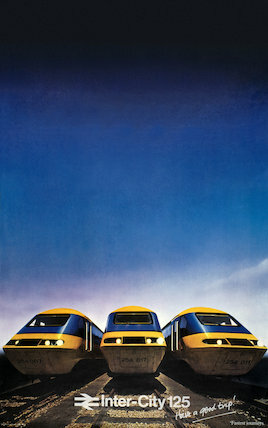 Poster produced by British Rail to advertise their expres trains between York and London, showing three trains in foreground and deep blue sky in background. Printed by Impres (Acton) Ltd.